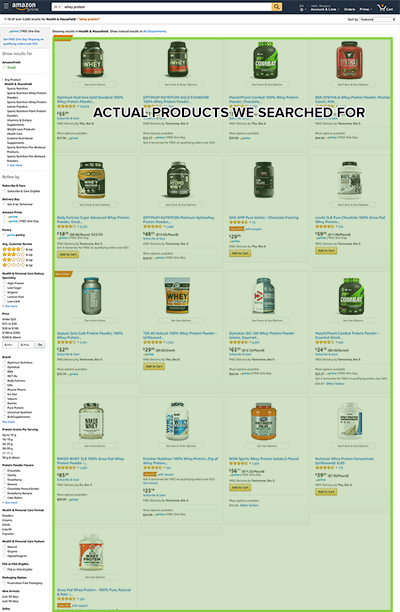 ShopSuey is a browser extension that hides sponsored products, reformats the page, and makes shopping online way better. 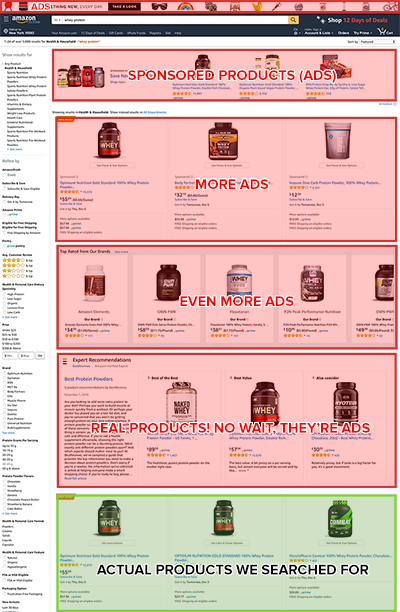 On a typical search for 'Whey Protein,' we see the following with and without ShopSuey. 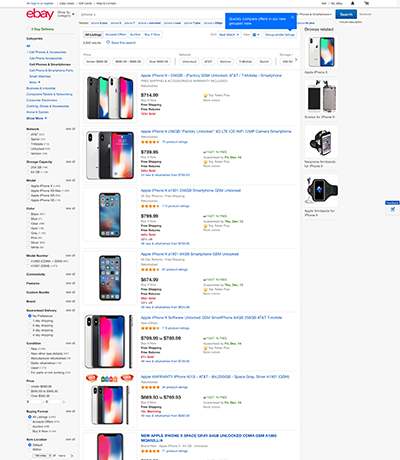 When you search for 'iPhone X' on Ebay, you're usually shown a ton of sponsored products (red). ShopSuey chops those ads away. 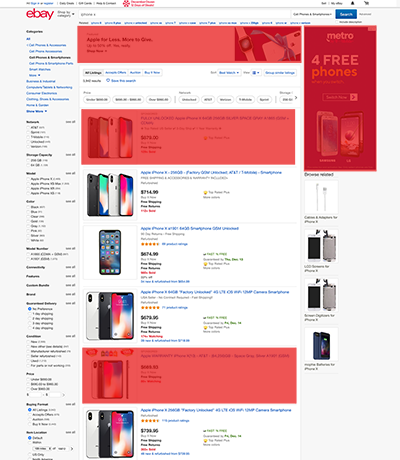 Currently, the extension only supports Amazon.com and Ebay.com but we’re working on cleaning up several other online retailers, including BestBuy, Target, and Walmart. Does this extension record any of my data? Absolutely not. All of the code for the extension is contained on your machine after you install it – there is no data sent to our servers at all. The permissions requested when installing ShopSuey are required to be able to modify the actual sites themselves. Does this cost any money to use? Nope, ShopSuey is completely free to download and use. When you install this extension, we may add our affiliate code to some products displayed on the page. This does not impact your shopping experience. For qualified purchases made with our affiliate code, we get a small fraction of the sale. There is no cost to you and all of this happens behind-the-scenes. You can also disable this feature from the menu if you’d like. We may also show you price comparison options when you’re on an actual product page (only if the competitors are cheaper, of course). In the event we do, we’ll use our affiliate code there as well. Isn’t this just a glorified userscript? Not really. When you download the extension, you get minified version of the full codebase. But it’s not a public repo on Github or elsewhere and lacks documentation. I may get to this in the near future if people are interested.